If you follow me on Instagram, you know that we went apple picking over the weekend – an almost required early fall activity! We decided to get the largest bag possible and ended up with 20lbs of apples. 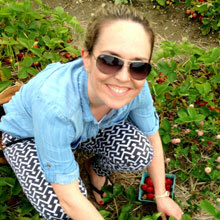 The first thing I made was an apple pie, which is almost the very reason to go apple picking, wouldn’t you agree? 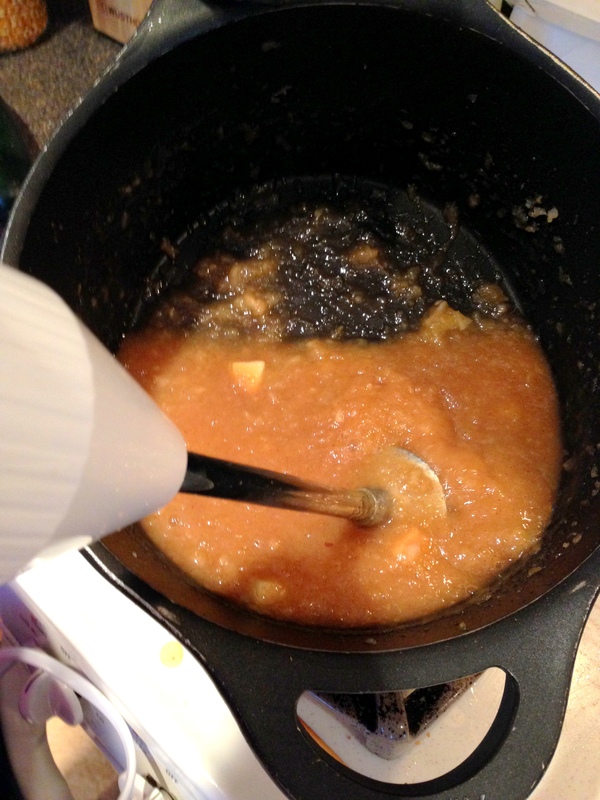 But then we decided to make apple butter. 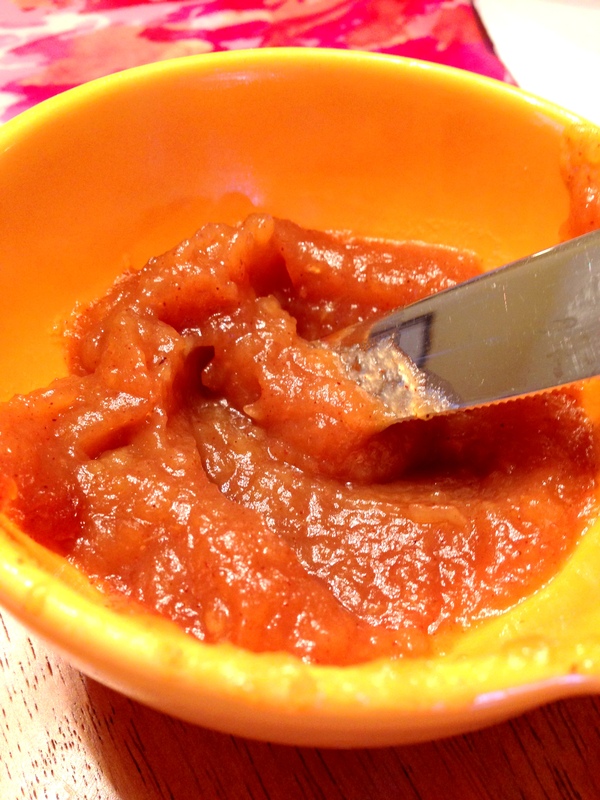 Did you know that apple butter is not, in fact butter? 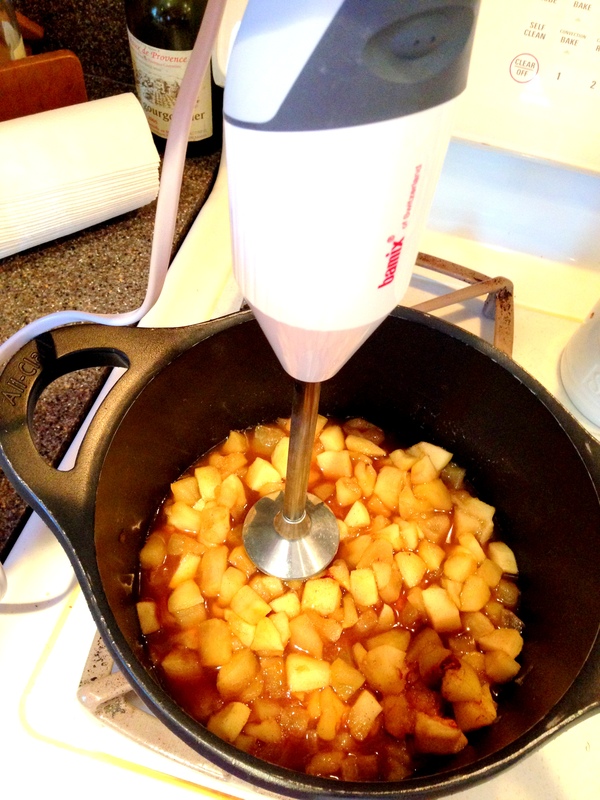 Rather a yummy combination of slow-cooked apples, sugar, and cider. And therefore a more heart-healthy toast topper! We used this easy-to-make recipe from Food Network Magazine that allows you to slow-cook the apple butter in the oven at a low temp. Be warned though – this only lasts about 5 days in the fridge, for that reason we halved the recipe. 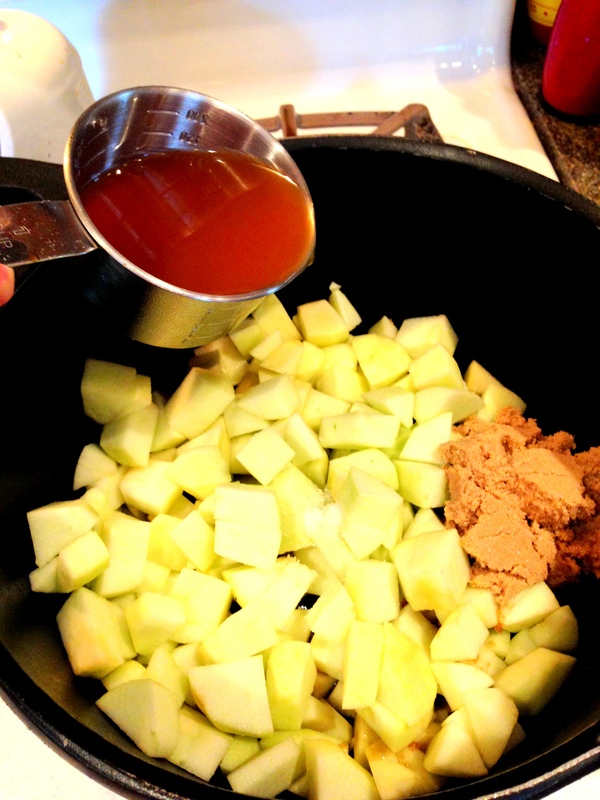 Dice your apples and combine with brown sugar, apple cider, and salt. Simmer 20 minutes until apples are soft. Remove from heat and add lemon juice, vanilla extract, cinnamon, and cloves. Blend in a blender or immersion blender. I love any excuse to take out the immersion blender! Blend until no more chunks remain. Place in a pre-heated 250-degree oven and cook for 2 1/2 to 3 1/2 hours, stirring every 3o minutes. Cook until the mixture thickens and looks like, well – butter! Let cool completely and then…enjoy! 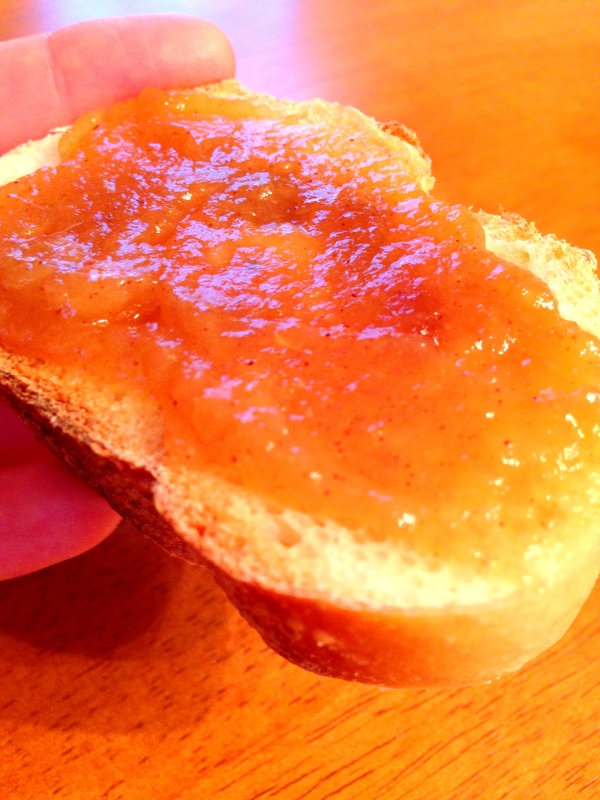 We love apple butter on toast, english muffins, pancakes – or any kind of bread product, really! Love love apple butter! Had no idea it wasn’t actually butter. ha!! Now, if I could find the time to make this…looks so yummie. I know, isn’t it a happy surprise? This looks like a solid recipe. I did one in a slow cooker and then canned the results, hoping everything will stay fresh for a lot longer than a week or two! Hope you enjoyed yours! 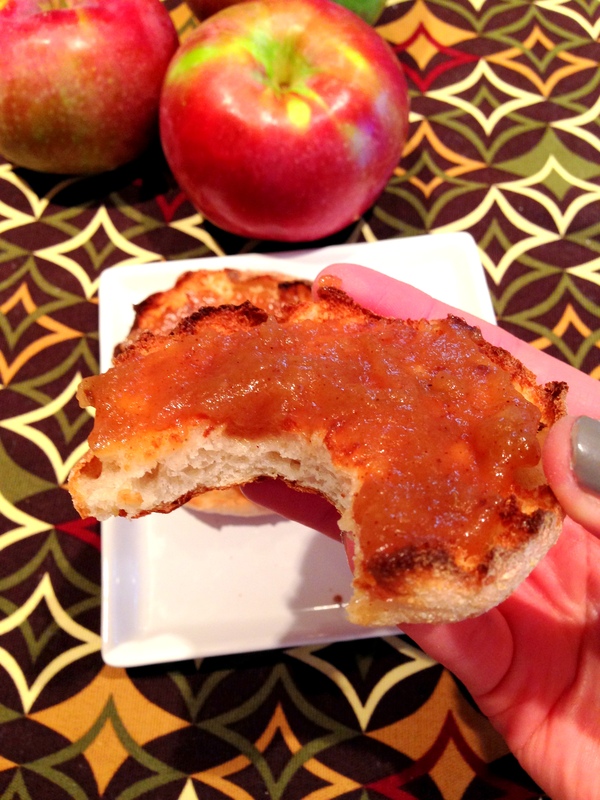 Such a great idea to can so the apple butter lasts longer! Thanks for the tip!